I’ll have more on this soon, when we have more details available. 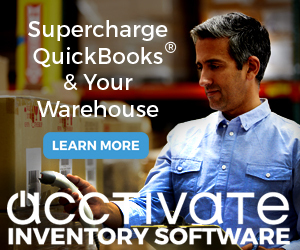 Intuit is releasing a QuickBooks 2010 R6 product as I write this. Oddly, it is available as a download from the download site, but not as a manual update at this time (that could change any minute). I’ve not heard of Intuit releasing things this way before. I wonder if there is an issue with the manual update process? Update 4/20/2010: Apparently this is the normal process, to release a full update first – I’ve just never noticed that before. There was a short release of R6 in manual update either last week or early this week, but it was pulled off the web site after a short release (I didn’t catch it). R6 has been in beta test for quite awhile now. I expect that there are a number of changes in this release. A fix to the 64 bit PDF driver problem. The ability to permanently drop some of the advertising icons from the icon bar. And a number of other things. BUT, since it isn’t on the update site we don’t have an official statement of what the changes are. I don’t recommend getting it from the download site at this time, until we have a better idea as to what is included. I’m publishing this note mainly to let people know that there IS an update in the works. As soon as I find out what it involves, I’ll post a more detailed article. UPDATE April 20, 2010: The R6 Manual Update is now available (see my article on this release). It has been recommended by Intuit(and even by yourself as I recall) that people trying to install QB-2010 on Windows-7 should download the product rather than install from a retail CD (which is probably an initial release) since many of the ‘early’ CD’s will not install in Windows-7 because of a variety of issues. If I understand your post from today, the R6 version of QB-2010 is what is now ‘available’ for new product download; yet you don’t suggest that it be downloaded, so what do you suggest people do if trying to install on Windows-7? I’m interested in your comment on this because I have pointed hundreds of people to this ‘download most current version’ approach (which has seemed to work for many of them) over the last month or two when they had QB2010/windows-7 install issues listed on the QB Forums. 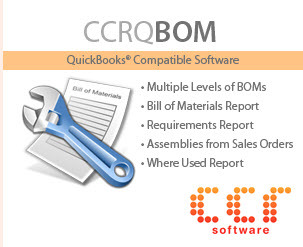 The “download rather than use the CD” related to a specific problem with the initial CD’s that were created for retail outlets when QuickBooks 2010 was released. Those initial CD’s had a flaw in the installation process. Subsequent CD’s didn’t have that problem(but there are still some of the damaged ones out there), so they are OK. Installing from the download got you around the issue with “third party” utilities not installing from the original CD’s. 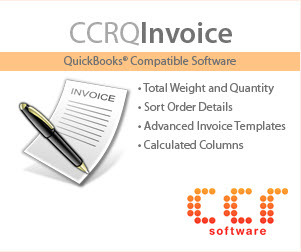 If you are purchasing a new copy of QuickBooks and installing for the first time, you certainly can go to the download site and get the installer. However, if you have an EXISTING installation, I usually recommend that you use the manual or automatic update method to get an updated release. That will upgrade your installation in place, and you won’t have to go through the registration process. If you install a new copy from the full download you MAY be asked to reenter your registration info. In some cases this may mean that you will have to call the Intuit registration phone number, and you may be subjected to a long process that could also involve a sales pitch. The update process differs from the initial install process. I’d rather wait for the update. Note that this will be the R6 installer, and I haven’t had a chance to test the R6 official release (I did install the beta test version, which I wasn’t allowed to talk about until now). I don’t recommend getting the R6 update at this moment as we don’t know what it involves, we haven’t seen if it is stable yet. The R4 and R5 updates of QB 2010 introduced more errors than they fixed, so I recommend some initial caution. When Intuit posts a manual update on their web site, they usually include a list of the features that have been changed or fixed. At this time we don’t have that list, so you don’t really know what has been changed. I’d rather wait to see that list. Even the beta test sites weren’t given a full list of the changes. I found some of them by just stumbling around. I would like to know what has been changed before I jump in with my “production” environment. So, another reason to wait a bit. I know that there was a brief release of the R6 version either last week or early this week (not sure of the date at this moment), and that it was pulled back. That is a bit of a worry – why was it pulled back? I suspect it is an issue with the manual update mechanism, but I can’t be sure of that. Another reason to be a bit cautious. In the beta test, one of the significant fixes was the correction of the PDF driver for 64 bit systems (which was a bug introduced in R4 or R5). A lot of people are waiting for this. In the beta test version it was resolved, on my test system. Note, however, that a feature that exists in the beta test version isn’t necessarily included in the full production version, so I can’t say at this time what fixes are in this release. My apologies for the long answer. Thank you for pointing out the inconsistencies in some of my statements. I hope that this is clear – if not, then please let me know what I need to expand upon. Thank you Charlie, you have no idea how much I rely on your articles – QuickBooks is like a car to me: I don’t know why it works, I only know how to drive it. I sound so smart when I tell my clients something that you have written about! Charlie – thanks for your clarifications, and always your helpful insight into current QB Problems and Issues. The entire QB community owes you greatly for your product testing and error resolution recommendations. Charlie, I can’t wait for this update. When something for sure comes out on it, will you be doing an update post? I have the .pdf/email situation, and it is a pain in the but, but I haven’t wanted to try some of the proposed solutions that gave you a run time error. Getting into the construction busy season up north, I am hopeful to get something before too much in the heat of it. Thanks for your great network of communication. R6 is now available as an update!! Let us know how your updating goes people. Yes, I’m writing my review of it right now. Lots of changes!